The app didn’t work out, but he’s worked on a number of startup related projects since then including his latest, GiveButter, a fundraising platform specifically targeted at engaging young people, a demographic normally inclined to donate. First, he was completely self-taught at programming, which allowed him to build that first app as well as his subsequent projects, and we dive into how he taught himself that during the episode. Second, Max was relentless about experimenting and trying new projects as a student, which eventually led to GiveButter which he’s able to work full time on now as a graduate. Third, while many of the guests on this show figured out they wanted to do their own work post graduation, Max decided it early on and did everything he could to make it happen before graduation which he succeeded at. Please enjoy, and if you’re a student interested in working with Max, check out the summer opportunities available at GiveButter! If you enjoyed the parts of this episode about how Max taught himself programming, you should also listen to Episode 2 on Learning Anything with Adil Majid. Adil went deep on how he taught himself design to get to the point where he could take on a lead design role at a small startup straight out of college. 1:50 – Introduction on Max and some background on his company, Givebutter. 9:23 – Max’s route to starting the company Givebutter. 11:44 – How max taught himself programming and coding. 15:57 – Max’s learning experiences on developing his first app. 23:10 – Max’s stresses regarding financial security and him moving on to doing freelance work. 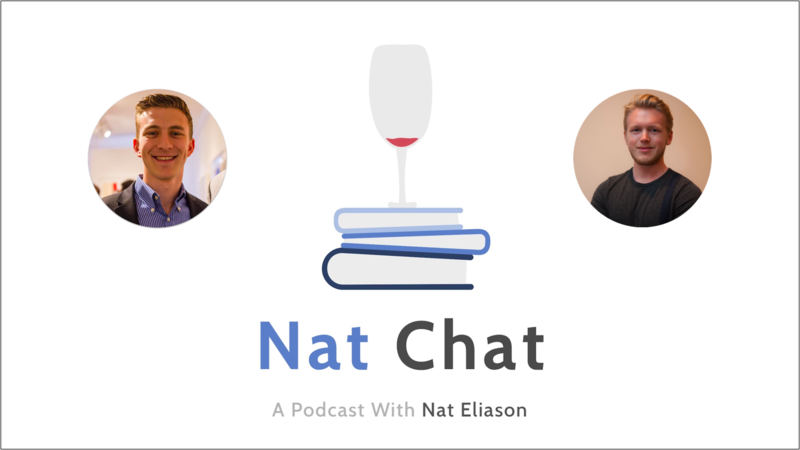 28:15 – Max and Nat on living frugally and the vital insights it can give you. 31:56 – Max speaking on how valuable mentors can be and his struggles with being independent during the start of his entrepreneurial endeavors. 39:12 – How Max handled his self-doubt in entrepreneurship, some advice on it, and college hacks he used to save time to spend on entrepreneurial projects. 44:55 – How Max went from caring more about GPA and grades to caring more about tangible skills and experience. 47:55 – Max on the value and usefulness of going to college. 54:08 – What Max would do differently if he went back to college knowing what he knows now. 57:43 – Max speaking about being self-taught, his experiences in learning skills, and his first experience being an entrepreneur. 1:02:57 – Max’s experience with his parents on making the decision to start his company and on him getting into entrepreneurial work. 1:08:19 – Max’s favorite failure during his journey and his top book recommendation for a freshman. 1:10:23 – Advice and wisdom from Max to students out there. 1:12:27 – Wrap up and where to contact Max online.